If you are looking for a good pair of headphones for less than $50, there are plenty of choices out there, and some of them are very good. 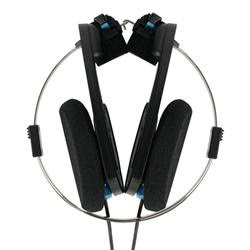 I think one of the best buys out there would be the Koss Porta Pro headphones. These on-ear semi-open cans were quite revolutionary when they were introduced in 1984 and are still very popular, even though they have not changed a bit. Koss got the design right in the first place, and they were smart enough not to mess with it. As they are still the same 28 years later, the black and silver design looks a little funky, but that is subjective, I suppose. They have a 4-foot cable with a 3.5mm mini plug. The replaceable ear cups are attached to headband that has three different level of tension adjustment (Comfort Zone!) so that the headphones put just the right amount of pressure on your noggin. They will spring back when you take them off, and might snag your hair. I find them to be quite lightweight and comfortable, except for the hair thing. By the way, they also fold up neatly into a circle for travelling. From a technical side, the Porta Pros have high-output neodymium magnets with Mylar diaphragms that are very stiff, reducing distortion. They are 60 ohm cans with a frequency response of 15-25,000 Hz and a total harmonic distortion of 0.2%. Blah blah blah. How do they sound? They sound really good! 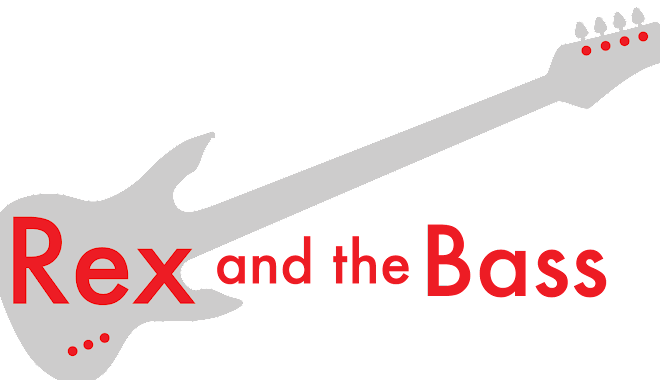 Using them with solely an iPod or my laptop, or in conjunction with a variety of headphone amps they have a tremendous range with tight mids and amazingly full bass. They faithfully reproduce sound and have a very realistic 3D sound stage. Remember that they have a semi-open design, so outside sounds can make their way in and sound will leak out. Be warned that they might not be your best choice for your next 12-hour flight. On top of all of these good things, the Porta Pro headphones come with a carry case and include the legendary Koss limited lifetime warranty. If they fail during normal use, they will send you a new pair for the cost of shipping. This should be enough to put you over the top if you are considering picking up a pair of these. As far as cons, there really are not very many. They will leak sound out and annoy your neighbors, your hair might get snagged in the adjustable band, and they may try to strangle you when you put them around your neck. Oh yes, and they do look funky. I think they look cool, though, and the other stuff does not bother me because they sound fantastic. 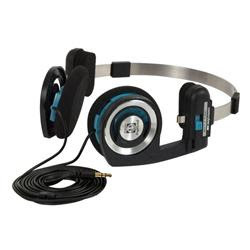 The Koss Porta Pro headphones have a list price of $49.99 and seem to sell online for between $35 and $80. The $80 is at Crutchfield, I am not sure what is going on there, but this shows you that it pays to shop around. You will not find a better pair of headphones for the money. These rock! I have 2, one in my gym bag and one by my bed.